Why Choose Saint Rose for Pre-Law? At The College of Saint Rose, you’ll find a variety of opportunities to prepare for admission to law school. 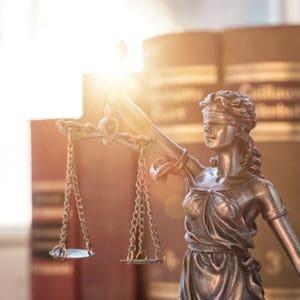 Our strong liberal education curriculum combined with our outstanding academic programs emphasize critical thinking, writing, and analytical skills–all essential elements for your success in the field of law. Since the nation’s law schools do not recommend any particular major as the single “best” preparation for law school, you can major in any of our outstanding programs, while receiving dual advisement from expert faculty members and from the pre-law advisor. We encourage students to think of law school as a complement to their undergraduate studies, since a wide variety of legal specialties can merge with most areas of interest. You’ll have plenty of opportunity to consider, analyze, and debate among our diverse community of engaged, original thinkers. They’ll welcome and challenge you, whether you see yourself prosecuting or defending criminal suspects; drafting corporate legal documents; helping inventors protect and commercialize intellectual properties; or safeguarding the environment, veterans’ benefits, or individuals’ civil rights. While most law schools have no requirement other than a bachelor’s degree, some are limited to specific majors: Ensure that your major fulfills your target law school’s requirements. Join the National Collegiate Mock Trial Team where students get a chance to try cases as part of the American Mock Trial Association national competition and meet students from colleges and universities all over the country. The College of Saint Rose offers a special program with Albany Law School through which our students complete their major and liberal education credits in three years, then, receive their bachelor’s degree from The College of Saint Rose on the completion of their freshman year at Albany Law School. The program empowers students to complete a J.D. in law in six years, rather than the usual seven. Students may apply for the program either together with their Saint Rose admission application from high school, or at the end of their freshman year at Saint Rose. Majors eligible for the program are: Criminal Justice, English, History, Communications, Interdepartmental Studies, Psychology, Mathematics, Political Science. The College of Saint Rose has received approval of a 3+3 program similar to the program that exists between the College and Albany Law School. Saint Rose students who complete their eligible undergraduate major and their liberal education credits in three years can receive their bachelor’s degree from Saint Rose on their successful completion of their 1L year at Pace University School of Law (PUSL). Eligible students may apply for this program in their junior year at Saint Rose. Majors eligible for the program are listed below. The College of Saint Rose also has a 3+3 program similar to the already existing programs with Albany Law School and Pace University School of Law (PUSL). This program with Western New England School of Law (WNESL) is available to the student from the same majors as the Albany and PUSL programs, which are listed below. This course meets three times a semester on designated Fridays from 12 p.m. to 1:30 p.m. There are no homework or reading assignments, but attendance is required. A series of speakers are presented each semester on various topics related to undergraduate preparation necessary for attending law school. Students are given a pass/fail grade based on attendance. The purpose of this course is to help ensure that students who want to or are contemplating attending law school upon graduation have the advice, course work, support and preparation they need to help with undergraduate course selection, the law school entrance examination (LSAT), the application process and eventually law school. This course offers opportunities for students in the above programs, and those that are not in such programs but who are interested in law school, to meet with a designated faculty member (pre-law advisor). It also provides a means for students to stay on track in meeting the particular requirements of the dual degree programs. Students participating in the pre-law program will have access to Canvas, the course distance learning platform that provides announcements of upcoming law related events and information regarding LSAT review courses, law school scholarships, financial aid, and other information relevant to the preparation for applying and attending law school. Canvas also provides a virtual meeting place for students throughout the college who share an interest in studying law. The College of Saint Rose Jurist in Residence Program provides the Saint Rose community with a unique opportunity to have personal contact with a distinguished member of the judicial branch of government. The goal of the program is to bring to campus a prominent jurist, current or retired, to share their expertise and experience by engaging with students, faculty, and alumni as well as the greater Saint Rose community in a variety formal and informal settings. These ongoing interactions, beyond enriching the college community through visits to classes and lectures on topics of interest will also provide a singular opportunity for students to seek advice and mentoring about pursuing internships and careers in the law. The Jurist in Residence also serves as a resource to the college’s Pre-Law Program and the National Collegiate Mock Trial Team. Phi Alpha Delta Law Fraternity, International is a professional law fraternity advancing integrity, compassion, and courage through service to the student, the school, the profession and the community. Saint Rose Students participating in the pre-law program are encouraged to join Phi Alpha Delta to gain access to job opportunities and key networking events. The American Mock Trial Association was founded in 1985 by Dean Richard Calkins of Drake Law School. AMTA serves as the governing body for intercollegiate mock trial competition. Through engaging in trial simulations in competition with teams from other institutions, students develop critical thinking and public speaking skills, as well as a knowledge of legal practices and procedures. AMTA sponsors regional and national-level competitions, as well as providing interesting and complex case materials for academic use. Presently, AMTA hosts 25 regional tournaments, eight opening round championship tournaments and a national championship tournament each season. Approximately 600 teams from over 350 universities and colleges will compete in these tournaments. In total, AMTA provides a forum for over 5,300 undergraduate students each academic year to engage in intercollegiate mock trial competitions across the country. Students have the opportunity to study abroad for a semester in South Africa, Scotland, New Zealand, Spain, Australia and South Korea, or to participate in shorter faculty led programs during semester breaks or summers. Courses offered vary by location but include: Comparative Legal Institutions, International Criminal Law, Law Government and Policy, Police, Courts and Criminal Law, Sports Law, Journalism and the Law, Introduction to Forensic Science and the Law, and many others. Alfred D. Chapleau M.A., J.D.